Let’s face it, purchasing your own beard balm once every couple of months starts to add up. Sure it might not break the bank by any means, but nevertheless, if you are a avid beardsman, you burn through this stuff like its water. If you ever thought about making your very own beard balm, well now is the time! To be quiet honest it might seem a bit daunting for first timers as you are melting down beeswax, working with butters, mixing in carrier oils, and lastly adding scents in the form of essential oils on top of that. 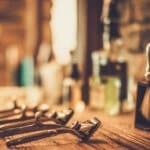 With this guide, I want to change all of that for you, the beardsman. Thats why I go into each and every detail along the way in order to get you started in making up your very first batch of beard balm! Therefore by the end of the guide you will be comfortable using a few starter recipes (and full access to our beard balm recipe database) and maybe even create a few new ones from scratch yourself! What’s more is that once you have perfected making your own beard balm, you can even hand these out as great gifts for other guys who have beards! There are a few upfront costs to get started. After you make your first couple of batches, you will be out of the hole in no time. As a quick gut check, the setup cost to create your very first bare bones beard balm will set you back about $50 bucks. This covers all the core ingredients. 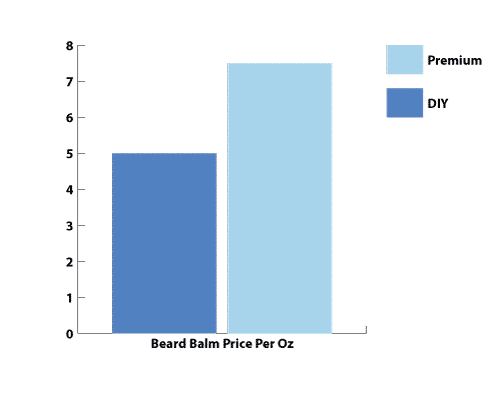 I will go further into detail on the DIY beard balm vs buying beard balm in just a short bit. The beauty of making your own beard balm gives you complete and total freedom to create your own balm any way you want. Before you know it you will be mixing essential and carrier oils together creating awesome combinations you never could find in an off the shelf product. 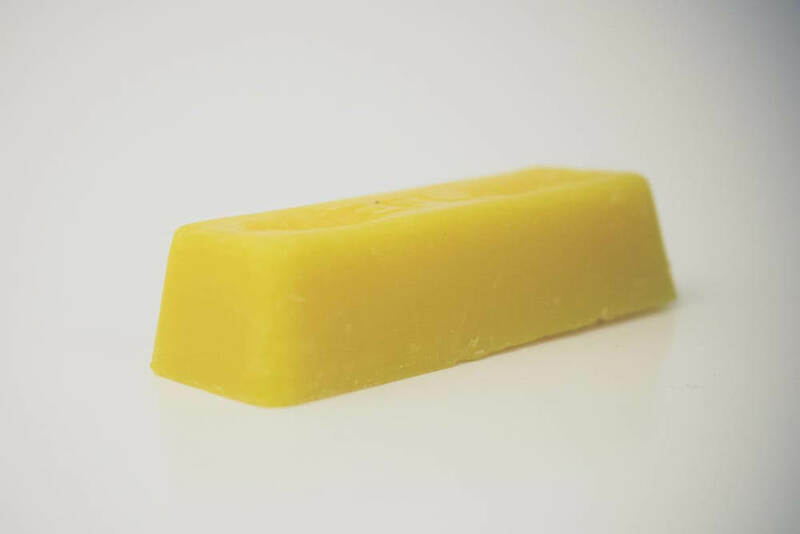 Beeswax – this acts as the binding/holding agent for the balm that you will be creating. 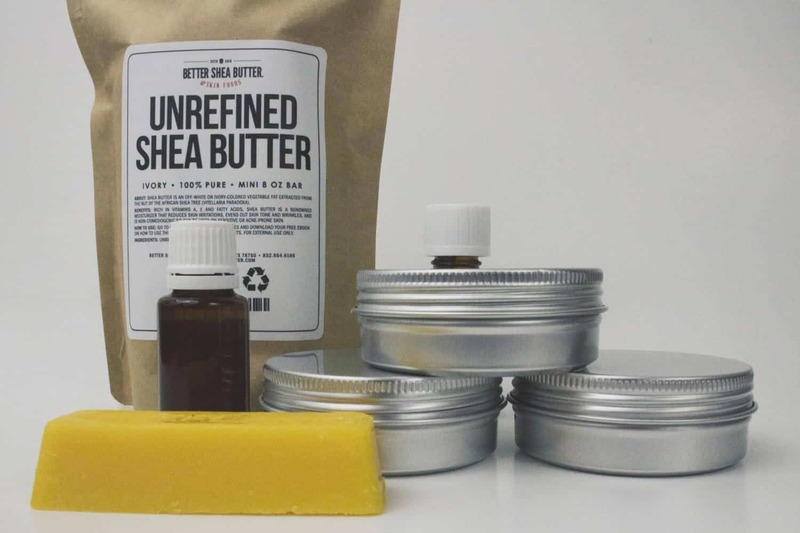 Butter – will typically be a Shea or Cacao butter that gives beard balm its spreadability. Carrier oils – the primary oil that gives your beard its core nutrients that is required to make sure that it is both soft and more importantly – healthy and well nourished. Essential oils – the secondary oil that gives your beard balm its scents and added benefits not found in butter or carrier oils. When you break it down between all of the ingredients – beeswax, butter, and the carrier oil will make up about 90%+ (usually 30% of each ingredient) of the balm, with the remaining 10% (or even less) dedicated to the essential oils. Before we jump into actually making the stuff, let’s brush off our calculator and unveil the benefits of making our own beard balm vs buying it off the shelf. 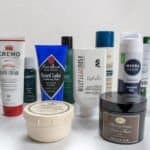 If you have a beard that is in need for some balm, it can be quite costly to maintain on a regular basis. On average about 1oz of beard balm will last you about a month (average beard length). Of course if you are growing a much longer beard, your overall use of beard balm will go up. Assuming you buy the core ingredients and tins (which can be reused), the DIY beard balm you make will come in at about $5 an ounce (or even cheaper if you buy bulk!). Curious what the difference is between a beard oil vs a beard balm? You see beard balms contain 4 primary ingredients: beeswax, butter, carrier oil, and essential oil. Beard oil on the other hand simply contains just carrier and essential oils. So why not skip the guide and go pick up a beard oil? Styling Agent – while beard balm is NOT a beard wax, beard balm does have a little styling hold with the inclusion of beeswax to its ingredients list. 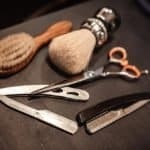 If you find your beard is heading in several directions when you start the day off and beard oil isn’t cutting it, using a beard balm and beard comb could be the killer 1 + 2 punch you were looking for. On the other hand if you are looking for an incredibly well shaped and soft beard, I cover that in my guide how to make your beard soft – but the gist is that you can use beard oil + beard balm + a beard comb as the killer routine to keep that beard in check throughout the day. If you are still not convinced that beard balm is right for you, then check out my guide on making your own homemade beard oil or skip all the DIY stuff and get the best beard oil! As touched on in the previous section, beeswax is the key ingredient in your beard balm that gives your beard some order. You CANNOT create a beard balm without beeswax. It is an essential ingredient to the beard balm making process. When it comes to actually acquiring beeswax you do have a few options – first you can hop on to Amazon and pick it up there (they aren’t dubbed the worlds largest retailer for nothing!). Another option is to look for local beekeepers in your area and see if they can also sell you a few blocks. This will likely be the cheapest option you can go (or you can spend a couple extra bucks and have it shipped to your door). When deciding on the type of beeswax available there are a few different types to choose from – bars, pellets, sheets, etc. If this is your first time ever making a homemade beard balm, I would highly recommend that you pick up the bars. You can pick up pellets for a few bucks more. With bars, just like a stick of butter, you can cut through them with a sharp knife easily to determine how much beeswax you will need for the recipe you plan on using listed below. When using beeswax in your recipe you have to be conscious of a few things, first you don’t want to over do it with the wax, otherwise your beard will feel really stiff (closer to a mustache wax). Also to keep in mind with beard balm is that the beeswax is more of a secondary ingredient (the butter and carrier oil are more of the ‘meat’ of why you use beard balm in the first place). Lastly when picking up beeswax you are going to notice that there are two different types of waxes – yellow and white – this typically has no bearing on the final result. There are a number of butters that you can put into your beard balm. The most common of all the butters though would be shea butter, and probably the best one to get started with. Shea is relatively safe to use on your skin and is used in a TON of skin care products. In addition of it being applied to your skin, it is completely safe to eat as well. 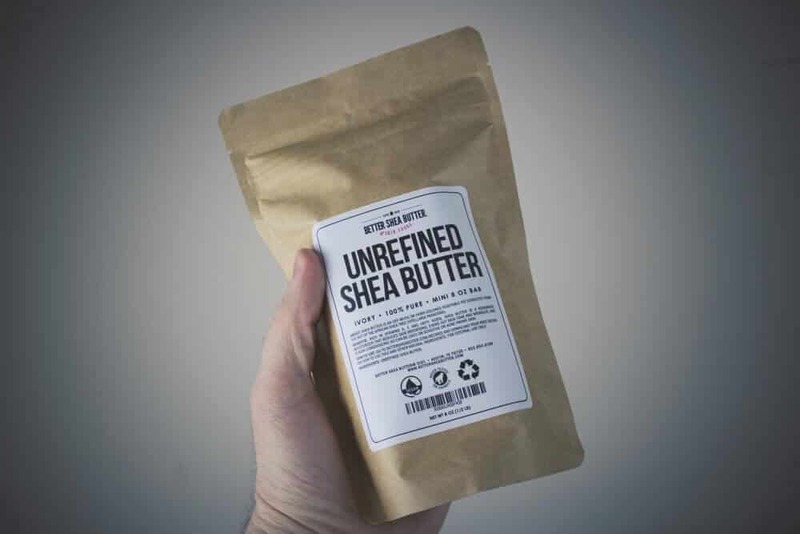 Shea butter along with several other butters are commonly found in many of the popular beard balm products. Other great butters to try out are cocoa and kokum. Just like a quality beard oil – carrier oil is one of the most important ingredients you will add to your beard balm recipe. You see carrier oil itself gives your beard and also your face a ton of moisture and much needed nutrients. For instance, with beard oil, a carrier oil will make up about 95% of the bottle. 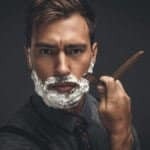 Since beard balm is a bit different of a mixture – given that it also has beeswax and butter, as mentioned above your carrier oil will take up about 30% of the total balm. 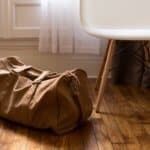 When picking up a carrier there are a few things that you want to keep in mind. First off, you want to make sure that you pick up a bottle that is amber in color. This is important due to the fact that the amber bottles help block out the harmful UV rays emitted by store lights. Overtime these rays break down the nutrients within a carrier oil – while it might be ok if its only been a week or two there is no way of telling especially if you order a bottle online. So if you plan on picking up a bottle from Amazon, make sure you go with the one in the amber bottle and not in the clear glass or plastic bottles. If you plan on picking this up yourself and not online, be sure you get the right type of oil as well. You don’t want to go to your local grocery store to pick this stuff up. Much of the oil that is sold in stores is expeller pressed that isn’t in a controlled setting. Therefore much of the oil may have lost its nutrients on its way to the bottle through the induction of heat. If you see a bottle of oil that isn’t cold pressed or expeller pressed – skip on that altogether as it likely involved the use of chemicals – that’s the last thing we want in our recipe! Cold pressed oil still goes through the expeller pressed process, however it is in a controlled environment so you lose very little nutrients in the end product. This is particularly important when using oils that are extremely delicate – like the ones we will be using in our recipe. Not only do you have to look out for this when picking up carrier oils – but for essential oils as well. Essential oils are like the life of the party. 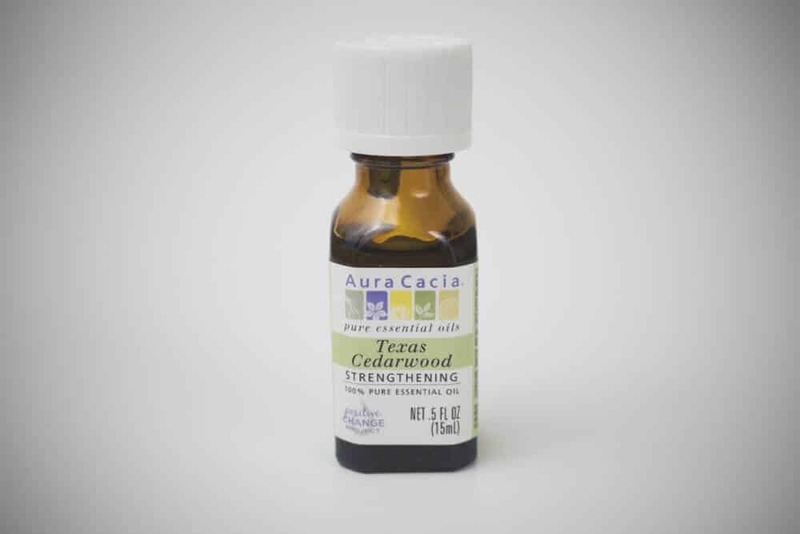 When you compare it to beeswax, butter, and carrier oils that are really subtle in scent – essential oils pack a huge punch when it comes to scent. Of course given that essential oils are so incredibly potent, you really need to use them sparingly. So how do you determine which ones to use in your beard balm recipe? Any beard balm worth its salt puts their ingredients right on the package! For instance, let’s take the highly rated Wild Willie’s Beard Butter and you can see the ingredients both in the product picture and in the description. If this is your first time ever making your very own homemade beard balm but have used beard oils in the past. 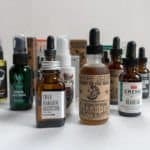 The same still holds true – majority of beard oil vendors list the essential oils used within their products. Of course I will also give you some great recipes to get you started as well below! While you learned there is a lot to do with scents and essential oils, the other great thing with essential oils is the extra benefits they can give you. When you use an essential oil like peppermint or tea tree – one of the biggest benefits is that its anti-viral in nature. But why is this important and why should you care? If you have acne going on around your beard area, both peppermint and tea tree oils help fight bacteria that causes acne. In addition to being an antiseptic – it also fights beardruff (beard dandruff) that occurs due to lack of hydration and dry skin! For some great essential oil benefits, check out this handy guide that was put together by a fellow beard lover. There are literally hundreds of essential oils to choose from – all of which have their own benefits. While it can definitely be extremely overwhelming at first – I would definitely recommend that you check out an essential oil sampler pack like this one to get you started. Note: When testing essential oils, be sure you do a patch test first as they can be a bit abrasive on the skin. Apply a small amount to either the inside of your elbow or behind your ear. 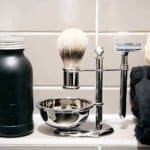 We covered the core ingredients to get you started on your beard balm recipe but before you start mixing them together its critical you have your prep station ready. First and foremost you want to make sure that you have ALL four ingredients listed above – it’s not beard balm unless all four are included. Then you are going to want to make sure that you have a pot set up. Unfortunately any old pot will not work for a couple of reasons. While we are adding in all natural ingredients to our mixture, you are going to want to use a pot that you will not be prepping food in the very near future. As mentioned above – essential oils are extremely potent. Therefore when you add them into your pot, it may take a few deep scrubs before the scent is completely removed from it. If you don’t mind parting with a few bucks, head to your local Wal Mart and pick one up for about $15 bucks or check out one like this for about the same price. There is one key thing to note when using a pot to make your recipe – don’t use a teflon (nonstick) coated pot. 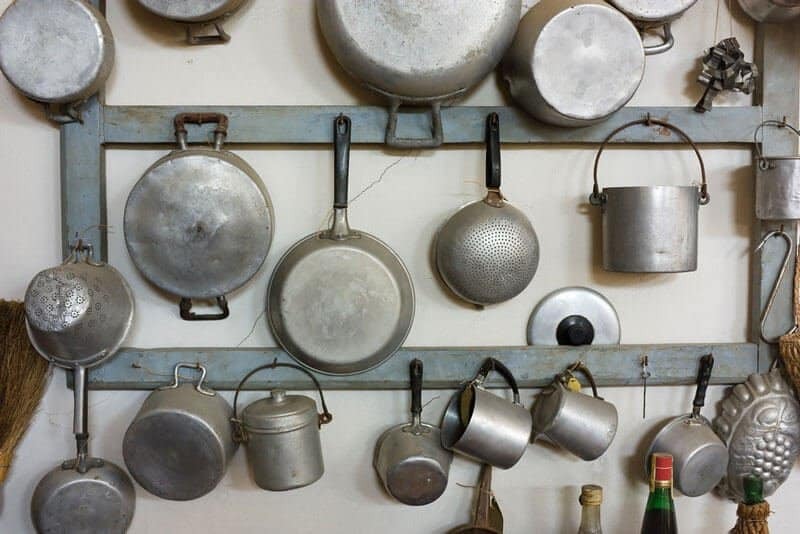 These pots have recently may be a link to causing cancer. Being that your beard balm is applied directly on your face – its best to always play it safe! For the beeswax depending on the type you get (bricks or pellets) you will want to use a kitchen scale or a set of measuring cups to have your preset measurement ready. 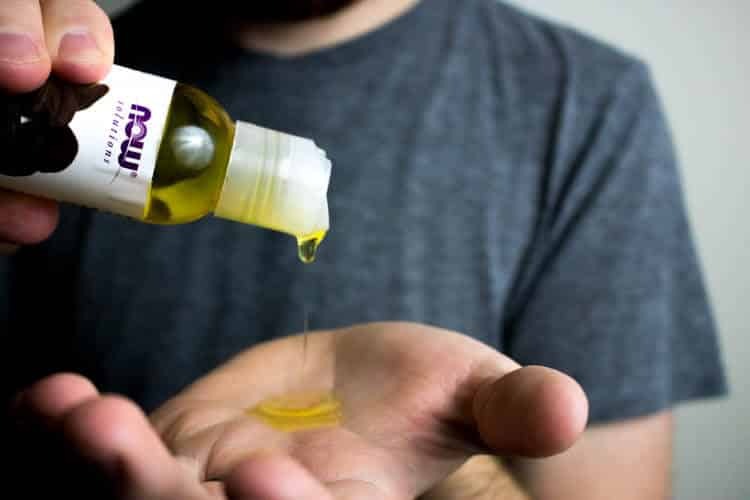 When it comes to your oils, most carrier oils come with droppers in the bottle – if not and the volume is large enough that is measurable in the beard balm recipe then you can also use your measuring cups for this. However, for essential oils, very small amounts are added to the recipe (measurements in a beard balm recipe are usually in units of drops). Depending on the type of essential oils you get may or may not include a dropper (typically I find that single bottle of essential oils contain a dropper while sampler packs do not). Whatever you do, make sure you use only one dropper per each essential oil. If you are making a beard balm with several different types of essential oils, you don’t want to cross contaminate your oils by mixing them together. This will severely ‘muddy’ the scent making your oils not as true to their original intended scent. You will want to use a metal spoon to mix the ingredients. Lastly you will need to get some metal tins (don’t forget the tops!) to store your newly minted beard balm. These suckers are hard to find, so I would recommend checking out an online retailer where you can usually get them in packs of 12 for under $20 bucks. Now that all of the required prep work is set you can finally get your hands dirty and start making your own! First things that you will want to do is measure out the ingredients from the beard balm recipe you are following. The last thing you want to be doing is juggling all the ingredients prior to cooking. At no point in this recipe will you want to bring your pot to a boil. If you do, you likely killed off all of the nutrients that are present in all the ingredients and your beard balm will not be effective at doing what it does best – nourishing your beard. You will want to place your pot on a very low heat and add in your pre-measured beeswax and butter. Stir occasionally. Once your beeswax and butter just finished completely melting, you will want to stir in your carrier oil(s). After your carrier oils have been mixed in thoroughly with your beeswax and butter, you are almost done! 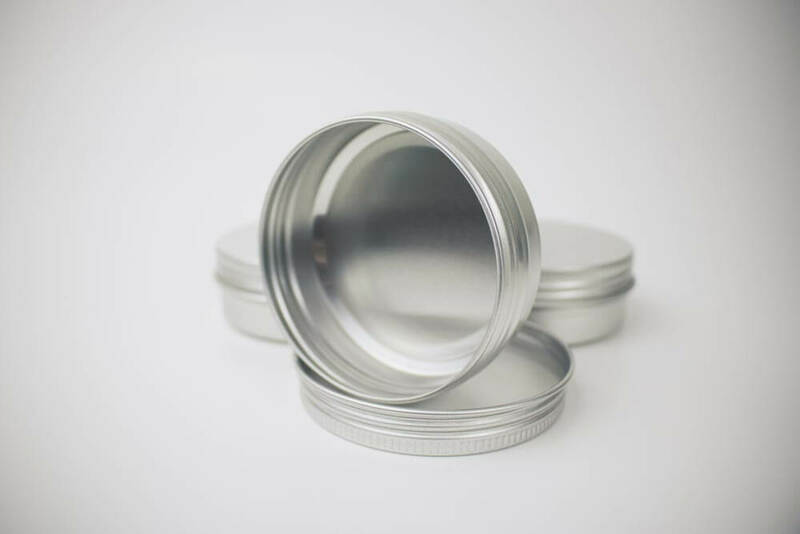 Right before you are ready to pour your liquid beard balm into your tins, add in your desired essential oils to the mixture. Once the essential oils are added, give it a few good stirs and then pour your liquid balm into your tins. Once you have poured out your entire liquid balm into their tins, you will want to have it open and uncovered for about 12 hours. To make sure that their is no condensation formed, leave your tins uncovered and place tented wax paper on top. This will ensure that nothing flies in or dirties up your fresh beard balm. 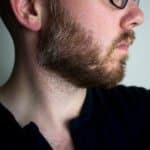 Why does my homemade beard balm make my beard feel so crunchy? When your beard starts to feel crunchy it means that you were a bit too heavy handed when it comes to adding in beeswax. 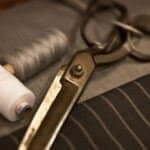 On your next batch, try cutting down the amount substantially and test the results. Will beard balm get my beard softer? Yes, beard balm exists exactly for this reason and many others. 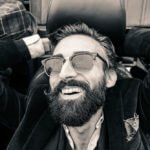 In fact if you want to get your beard extremely soft, you should check out a recent post I did dedicated specifically on how to get your beard soft. I am not sure what essential oils I should use, please help! Not to worry! There are hundreds of essential oils to choose from, I would recommend checking out a sampler pack as it gives you a substantial amount to check out and see which scents suit you best.